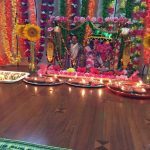 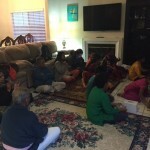 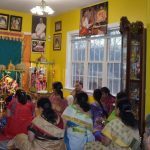 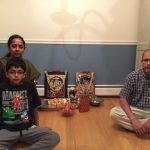 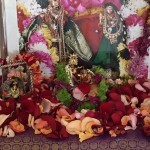 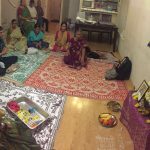 By the immense grace of Sri Swamiji, Bay Area GOD Chapter commemorated New Year 2016 with an AkandaNama Sankirtan on Friday, January 1st 2016 from 7am-7pm at the residence of Sri.Srinivasamurthy G.B and Smt.Ramya Srinivasan in San Jose. 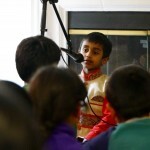 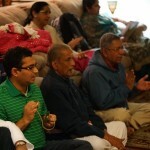 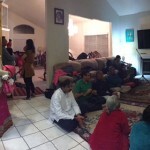 Close to 50 devotees took part in this special satsang. 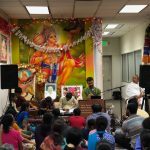 The Akandanama was followed by a Hari Katha session, where Krishnanujam enthralled the audience with his beautiful exposition on Lord Hanumanji. 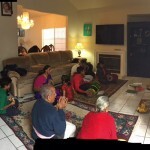 The satsang concluded with the rendition of Kaliyayum Bali Kollum kirtan and Harathi. 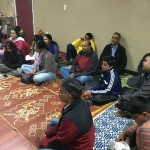 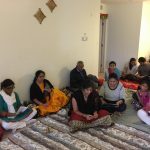 On Saturday January 2nd 2016, as part of the 24 hour Global Nama Relay, satsang members assembled at SVCC Temple in Fremont from 4pm-6pm and chanted the divine names of the lord with reverence. 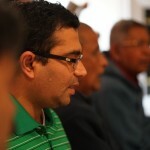 Close to 25 members attended the Global Nama Relay. 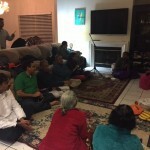 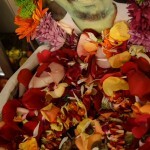 California was one of the regions where the Global Nama Relay concluded and the relay ended with the rendition of Kaliyaum Bali Kollum kirtan.